On a cold winter’s day, Ruth Crilly is dressed in perspex mules, a sherbet pink hoodie and biker shorts, walking her cat, Mr Bear – who is as sedate as he is supersize – down the driveway of her Somerset home. It’s a lavish, playful vision, a sort of Ab Fab meets Escape to the Country pastiche, Crilly’s blonde lob swaying in an arctic breeze while tall hedgerows rustle in the background. In reality, fact and fiction intertwine in this shoot. It’s true that Crilly is no stranger to dress-up – the 37-year-old has modelled internationally for 10 years, and you can see why. With her wide set eyes, bird-fine bone structure and au natural tooth gap, there’s something of the sixties icon about her. Since being scouted in London while studying for her law degree, Crilly’s career has taken her around the globe, seeing her collaborate with the likes of Chanel, Elemis and Estée Lauder. It’s Crilly’s side-hustle, though, that has steadily taken over her working life. In 2010, the model made the move into lifestyle blogging, sharing everything from honest beauty reviews and fashion advice to interiors inspiration via her website A Model Recommends. Today, she regularly amasses over 300,000 visits per month, reaching her audience through her blog, social platforms and YouTube channel. Much of the time, she shoots, edits and shares that content from her country home, where she lives with her photographer husband, two children, boisterous dog, turbo-cat and two chickens. Crilly’s idea was simple but canny: to blog from a model’s point of view, sharing knowledge acquired from her time on set with leading makeup artists and stylists, along with her back catalogue of products, to cut through the noise of the industry. Long before people were thinking of themselves as personal brands, Crilly had “a strong vision of what the blog format could be in the future”. Many of those personal moments are drawn from Crilly’s day-to-day experiences of parenting Ted, 2 and Angelica, 3. Whether it’s walking the dog or organising the kids before bath time, the minutiae of family life makes up a big portion of the blogger’s output. How does she choose which experiences to share and which to keep private? Is there a push-pull, I ask, between portraying reality and filtered fiction? Those words couldn’t be truer of Crilly’s latest project. Over the past year, she has carefully mined her experiences of early motherhood for a new app called The Night Feed, due to launch this spring. Seeking to provide “a safe, inviting space” for mums who are up in the night feeding their babies, it will feature special guest content such as talks from paediatricians, midwife Q&As and stylists’ guides to the best breastfeed-friendly clothes, as well as a tab where users can connect via messaging, leave comments or post questions. Some moments are precious and it seems like sacrilege to share them. If I feel like I’m sharing something for the sake of it, I don’t. Crilly’s vision of the app is “a hub where people can come and feel comforted”. Users can choose whether to engage or remain passive, and there are plenty of practical features, like a feed timer. “Hopefully it will take the pain out of those night feeds,” she says. With the boundaries between her work and home life so blurred, Crilly admits that she struggles to relax. Trying to replicate office hours in the home is “just impossible”, which makes striking a balance between work and play tricky. A social life is something she has “very little of”. With both kids, I’ve felt so lonely during the nights. No one else is up and you feel knackered and resentful… the app stems from when I was in that headspace. 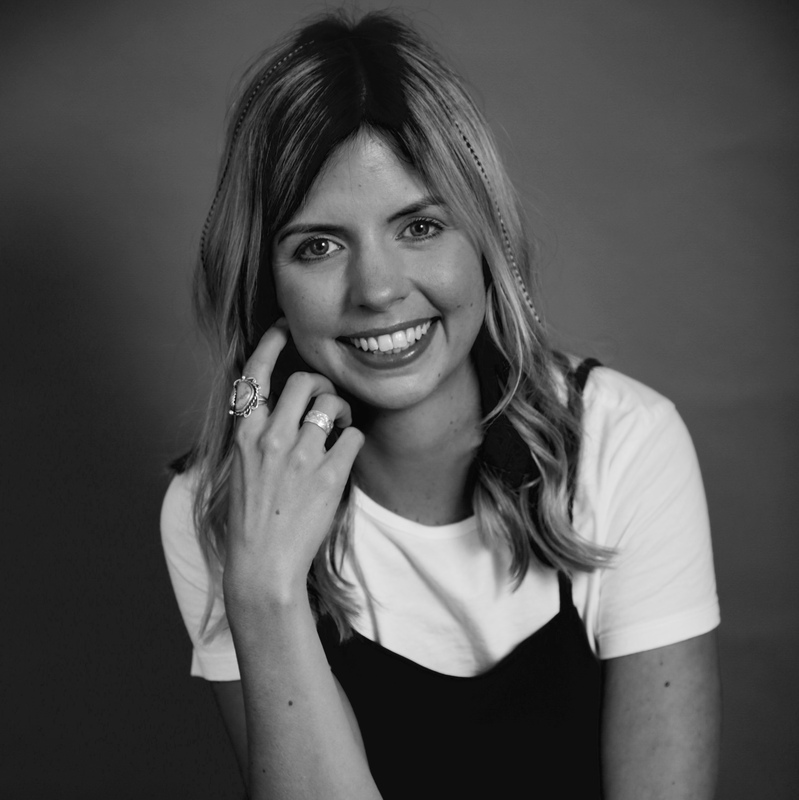 If wearing your heart on your (blogger’s) sleeve is the key to building a successful lifestyle brand, then Ruth Crilly’s is way out there. There’s something brave in that – and those hits speak for themselves. The Night Feed launches spring 2019. Mary-Jane Wiltsher is a London-based journalist and editor. In her role as Features Editor at PHOENIX she works across the brand’s award-winning biannual print issue and free monthly digital publication. As a freelancer, she has written for titles such as Forbes, Stylist, Euronews, What We Seee and The Resident London.